Aarvi is a Year 11 pupil at Altrincham Grammar School for Boys. He has been swimming for many years and went on to swim for the club Altrincham Swimming Club By year 5, he was looking for something that would teach him self-discipline, stay active, achieve goals and have a stress buster before 11+ exams. 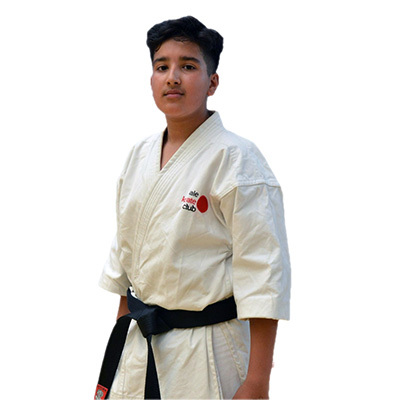 After 11+ it became a passion, and he was determined to become better in order to achieve his black belt by the time he became a teenager (this came true, taking the exam only a week or so after becoming 13 years old) and was fuelled by his achievements in kata.